Born: May 26, 1799 in Sandwich Ma. Died: September 15, 1887 in Bourne Ma. at 88 yrs. Occupation: Mariner, Coasting, First Keeper at Wings Neck Lighthouse in Pocasset Ma. (1849-1854 & 1865-1887); (visit www.lighthouse.cc/wingsneck/ for additional information. 2. 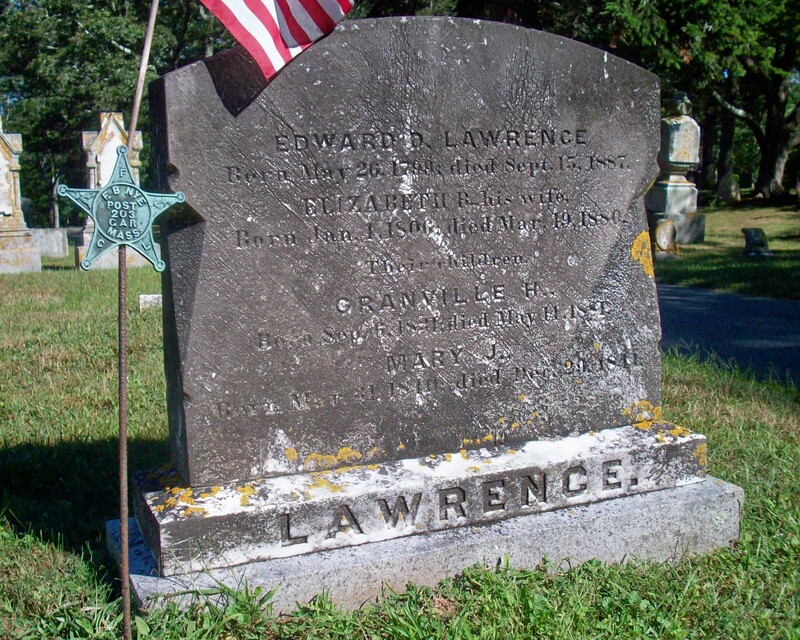 Reuben Wats Lawrence; (January 31, 1835 – July 18, 1932); Married (1) Ophelia D. Chadwick (1842 – 1873) (Ebenezer Dimmick Chadwick & Phebe Hatch) in Sandwich Ma. on January 4, 1863 & married (2) Ann Louisa Fish Howard (1837 – 1920) (Isaiah Fish & Caroline Fisher) in Bourne Ma. on December 31, 1903; Ann married (1) Charles Foster Howard (1826 – 1892) (Calvin Howard & Hannah Handy) in Sandwich Ma. on November 29, 1857; Reuben, Ophelia, Ann & Charles are buried in Cataumet Cemetery. 3. Luthera Maria Lawrence Small; (January 3, 1838 – December 29, 1912); Married David S. Small (1824 – 1909) (Nathaniel C. Small & Margaret Phinney) in Sandwich Ma. on January 7, 1867; David married (1) Jane Whitney Whitmore (1824 – 1863) (William Whitmore & Elizabeth/Betsey Boulter (Heath)) Abt.1858; Luthera & David lived in New Bedford Ma. ; Luthera, David & Jane are buried in Oak Grove Cemetery in New Bedford Ma..